Finding an expert to work with for your Bloomfield roofing contractor services is an important step to take. Keep in mind, this is the type of professional that you are going to nee to rely on for a variety of reasons. Establishing a strong working relationship with an industry expert is the best way to set yourself up for success. So it only makes sense to choose Brian O'Donnell Quality Home Improvements to work with. Brian has been known for his unique approach to providing superior roofing services in Bloomfield, CT to local homeowners since 1978. With almost 40 years of expertise under his belt, it is no wonder our team is the obvious choice. Brian takes great pride in being known as the area's professional roofer and it wouldn't be possible without providing superior craftsmanship and results at a fair price. His belief is that there is no substitute for quality work and that shows in the results we get on every job we do. Don't take a chance when it comes to the work you get done; give us a call today and let us show you all that we can do for you. What many people do not actually realize is just how important your roof is. This is literally what protects the entire rest of your structure from the elements. So if your roof is in need of repairs it means that the structural integrity is being compromised. This also puts the entire rest of your home, and the people and property inside, at risk. This is not the type of gamble that you want to take. Nor should you ever settle for less than the quality you want for your roof. 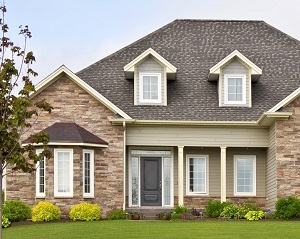 With proper service and care, your roof should last at least two decades. Our job as your roofer in Bloomfield, CT is to enhance the performance and insure that lifespan. Give Brian a call today in order to get your service set up. Brian's primary concern is providing the best solutions to your specific needs; this is not about a high pressured sales pitch. As your roofing contractor, we will assess your situation and provide you with the options that you have. We may offer suggestions from the standpoint of a professional, but you ultimately make the final decision. The age of the roof. If you are nearing the 20 year point with your roofing in Bloomfield, it would probably make more sense to replace as opposed to repair. The cost of the repairs. If your repair costs are 50% or more than the current value of your roof, it would make more sense to opt for replacement. The overall condition of your roof. If you are just going to continue to need roof repairs in Bloomfield this could nickle and dime you. It may be smarter to just invest in replacing the roof altogether. 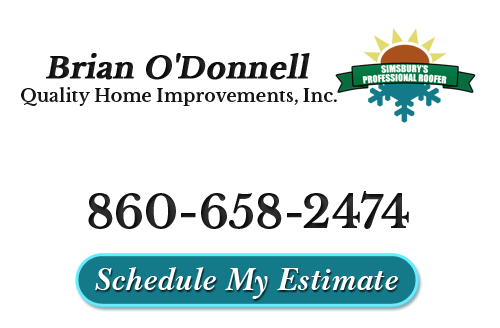 Brian O'Donnell Quality Home Improvements is also the name that local homeowners call on for their skylights in Bloomfield, CT. There are so many things that can go wrong, when it comes to your skylights, but we can help with everything from installation and repairs to replacement or removal. Don't live with leaks when we can remedy the situation. The bottom line is that you have found the reputable name to trust for Bloomfield roofing contractor services. Now, all you have to do is give us a call to get the work taken care of. "Brian & crew did our roof in the fall 2014. We were SO impressed with his knowledge, professionalism & honesty! He told us up front we didn't need a new roof yet... maybe in another 8 years. After hearing we had to get a new roof because it was a requirement for solar panels, he proposed to just do the sections that the panels would be on and match it to the rest. It looks perfect and he only did what was needed! The enviro-freak in me also LOVES the fact that he sends the waste to a recycler & not the dump. Old shingles = new asphalt! Quality company!!" "Brian – Andy and I are really happy with the roof – looks great! Your crew were also great – answered any questions Andy had, and did the job with very little disturbance to us – just came and went and got the job done. Protected the roof overnight, etc. Have a good summer!" If you are looking for a professional Bloomfield roofing contractor then please call 860-658-2474 or complete our online request form.